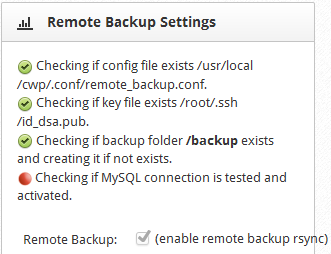 Someone already managed to configure remote backup with rsync using the CWP Version 0.9.5? What would be the procedure to send the backups of VPS (A) to the VPS (B)? i did what you wrote down but nothing. any ideas?